TOKYO, September 14. /TASS/. Japanese Prime Minister Shinzo Abe said on Friday he expected to meet with Russian President Vladimir Putin in November and December. 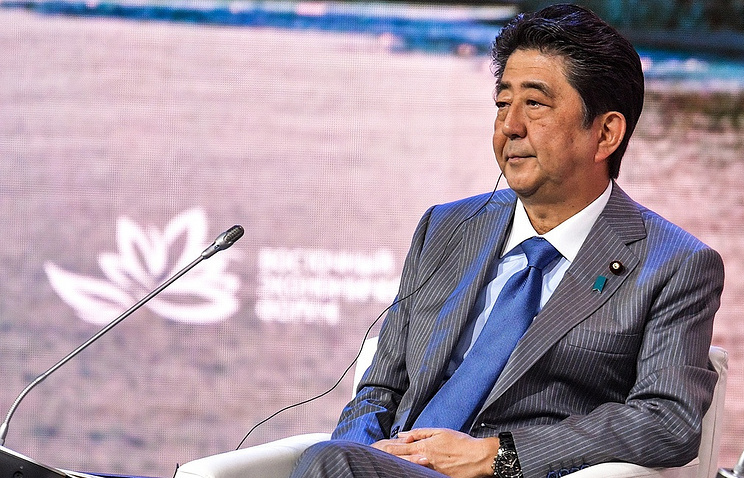 "Russian-Japanese top-level meetings in November and December will be truly important," Abe said during Friday debates in the run-up to the election of the ruling Liberal Democratic Party’s leader. Abe did not elaborate on the possible venue of those talks. However, according to public sources, both leaders may attend the 2018 East Asia Summit in Singapore. Commenting on the Russian leader’s proposal to sign a peace treaty by the end of the year, the Japanese premier said that Putin was "truly committed to the idea of signing" this document, but Japan’s official stance is that "the peace treaty should be signed after the territorial problem is solved." 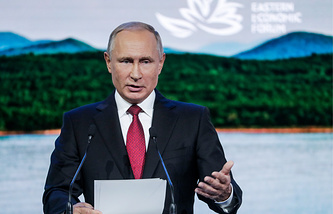 During the Eastern Economic Forum’s plenary session on September 12, Putin suggested concluding a peace treaty between Moscow and Tokyo without any preconditions before the end of the year. Commenting on the initiative, the Japanese Foreign Ministry told TASS that Tokyo would engage in talks with Russia on the peace treaty only after the territorial dispute is settled.